Really quick post today - my list of to do's is incredibly long! These are two of the projects that Katrina and I created when she came over last week. 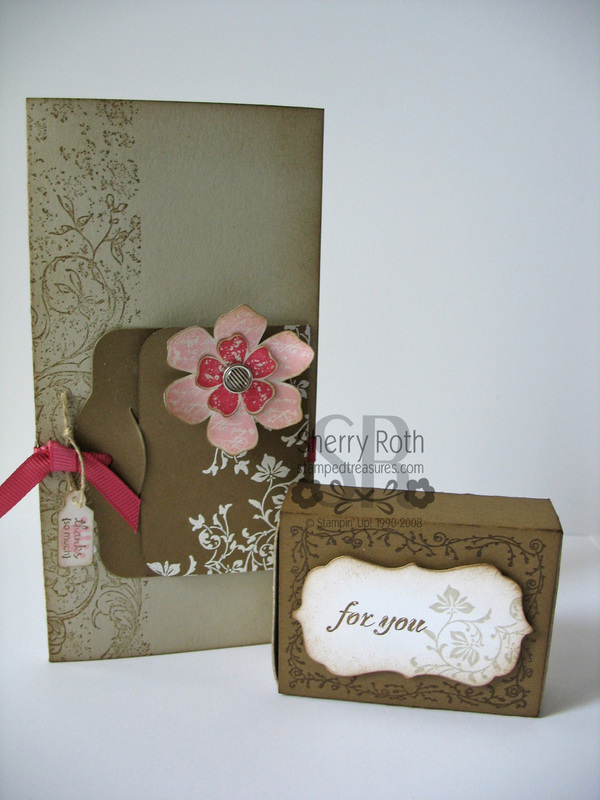 Before we met, she had requested cards and little gift boxes so I designed the projects around her request. The card uses the Vintage Vogue stamp set. I'm so happy that this set is carrying over to the new catalogue, I love it. The little box was created using the matchbox die for the Big Shot and images from a few different stamp sets - Matchbox Messages for the frame, the 'for you' is from Fresh Cuts and the flowery flourish is from Vintage Vogue.